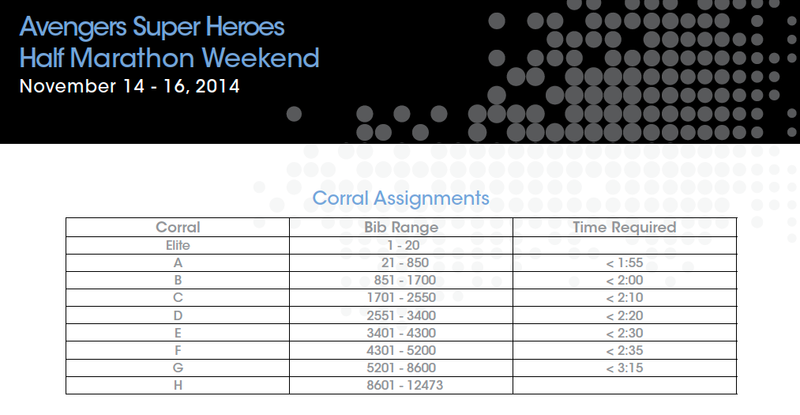 We're just under four weeks away from the Avengers Super Heroes Half Marathon, and the corrals have been announced. 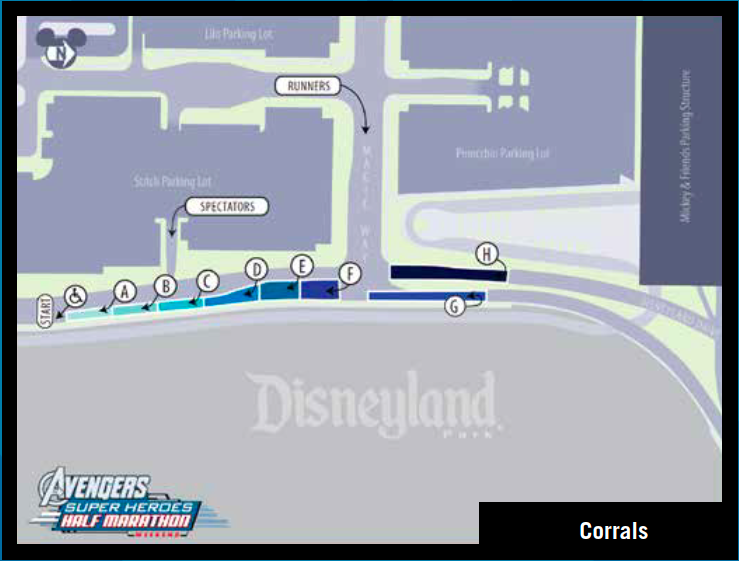 It looks like runDisney is again keeping the front corrals quite small, probably figuring those people are more apt to be running for time. The great big corrals at the back do make me a little apprehensive, but I'm also sure that runDisney tests different strategies in order to find the right system for each race. I'm excited about running "the other direction" at the start -- which we haven't run since the Disneyland Half Marathon in 2010. Wil and I will be in corral D -- where will you be? I'll be in G with the teeming masses. I'm not running the Avengers race but am very excited about running Tinkerbell for the first time next year! I LOVE running Tink -- I've been able to run all three previous races and have signed up for next year. Let me know if there are any questions I can answer for you!! !